// How artificial (different) will artificial intelligence be? What roles will be left for humans? Will there ever be a super intelligence? Or are there limits to intelligence, even in machines? Toby Walsh is a leading researcher in Artificial Intelligence. He was named by the Australian newspaper as a "rock star" of Australia's digital revolution. He is Scientia Professor of Artificial Intelligence at UNSW, leads the Algorithmic Decision Theory group at Data61, Australia's Centre of Excellence for ICT Research, and is Guest Professor at TU Berlin. 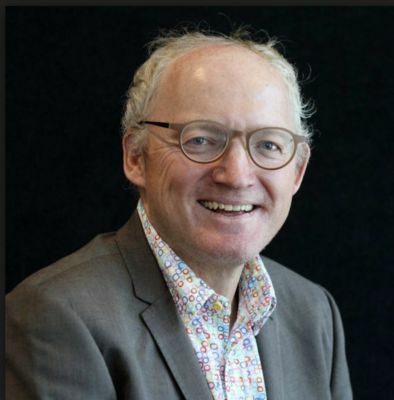 He has been elected a fellow of the Australian Academy of Science, and has won the prestigious Humboldt research award as well as the NSW Premier's Prize for Excellence in Engineering and ICT. He has previously held research positions in England, Scotland, France, Germany, Italy, Ireland and Sweden. He regularly appears in the media talking about the impact of AI and robotics. He is passionate that limits are placed on AI to ensure the public good. In the last two years, he has appeared in TV and the radio on the ABC, BBC, Channel 7, Channel 9, Channel 10, CCTV, CNN, DW, NPR, RT, SBS, and VOA, as well as on numerous radio stations. He also writes frequently for print and online media. His work has appeared in the New Scientist, American Scientist, Le Scienze, Cosmos, the Conversation and "The Best Writing in Mathematics". His twitter account has been voted one of the top ten to follow to keep abreast of developments in AI. He often gives talks at public and trade events like CeBIT, the World Knowledge Forum, TEDx, and Writers Festivals in Melbourne, Sydney and elsewhere. He has played a leading role at the UN and elsewhere on the campaign to ban lethal autonomous weapons (aka "killer robots").